I can't quite say Good Morning this week since I'm writing this at the end of the day instead of the beginning. I was busy juggling having my daughter home with me and getting in a full day of work, so there was no time for blogging this morning! I had a decent week in terms of reading but I wasn't nearly as productive with writing as I was hoping. As far as reading goes, I finished Final Approach by Lyle Prouse and published the review for the book tour. I also got Bossypants by Tina Fey from the library for my September book club. I read it in two days! In addition to the reading, I published a review for A Leprechaun's Lament by Wayne Zurl. And I featured a guest post by author Lyle Prouse. My son started a new series and is about halfway through Justin Case: School, Drool, and Other Daily Disasters by Rachel Veil. He's really enjoying this series and now that he's back in school, he has to log his reading every night. So I'm sure he'll get through that series pretty quickly. 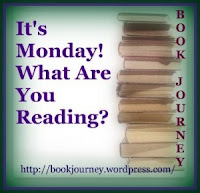 I haven't started a new book yet, but I plan to start The Mine by John A. Heldt tonight or tomorrow. After The Mine, I'll be reading Sitting Kills, Moving Heals by Joan Vernikos for a book tour. I wrote the ones that were parts of book tours, and that's it. Ugh! I feel so bad that I told these authors I'd review their books, and I've actually read their books, and I can't seem to find the time to review them. I think if Bossypants hadn't come in at the library last week, I would have written a lot more. But I spent about 5 hours reading that instead of writing reviews! 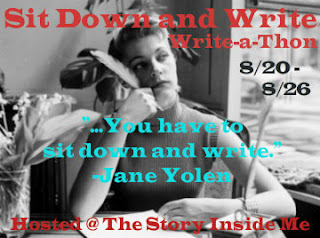 Despite my lack of writing, I do want to thank Michele at The Story Inside Me for hosting this write-a-thon. I guess I should have participated in a read-a-thon last week instead! I find that it is challenging to sit down and write insightful reviews. I like to ponder over them, but then that means that I get backed up. I have 23 reviews on my list that need to be written, but I only managed to get 1 posted last week. I was able to write drafts for 2 more, which will get finalized and posted this week. Congrats on getting 2 of your reviews posted! I think that's my issue too. I need time to think through what I want to write. Although sometimes, I find myself forming the review in my head and I have to run to the computer and type it up before I lose it! Hey, at least you've read the books and their ready to review. I have the Leaning Tower of Pisa in review books that have yet to be read. And at least you got two reviews written. Sometimes life gets in the way. I'm probably going to host again in November. I hope you'll join me! Bossypants sounds like a lot of fun! And you just reminded me to request my Sept. book group read, so thanks! Thanks! I hope your September book club book is a good one!